Not a bad start after claiming 2 winners out of 5 on the opening day at Aintree. We now move on to Ladies day which can be as entertaining away from the track as the action on it when the drink takes its toll later in the day. This year it takes place on Friday 13th which is unlucky for some but hopefully we can buck the trend. We start with a favourite in Global Citizen who runs in the Top Novices Hurdle at 14:20pm. He has won his last two races over hurdles with the last being a group two in Kempton won by 9 lengths. He arrives after being pulled out of Cheltenham due to the testing ground and will enjoy the drying ground here. If the rain returns at Aintree it might be worth taking him on with Vision Des Flos. Next up is the Novices Chase at 15:25pm where I am going to favour one of my favourite trainers in Colin Tizzard. Elegant Escape takes my fancy as he is a good all round horse who is always there or there abouts. He finished 3rd in the RSA Chase at Cheltenham last time out and first time cheekpieces could bring further improvement. After Altior was withdrawn from the Melling Chase, Min moved up to take up the favourite tag in the race at 15:25pm. Altior outpaced Min on the home straight at Cheltenham but with the former no longer running it should open the door for Min to show his class. Politologue and Balko Des Flos will be his biggest challenge after two strong showings at Cheltenham. I’ve had my eye on Ultragold in the Topham Handicap at 16:05pm for a while. 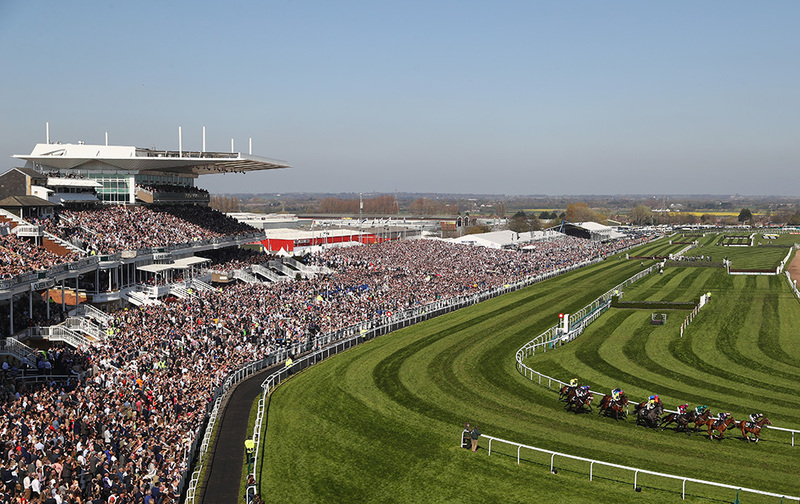 His odds are tumbling because people are starting to take note of his form at Aintree. He won this race 12 months ago and is only slightly higher in the handicaps this time round. It’s a tough race with 30 set to take to the start but Ultragold should be up there as he bids for Aintree glory once again. For my final selection I’m going to go for an each way bet in the Novices Hurdle at 16:40pm. It’s a tough ask to beat the likes of Ok Corral and Santini but Sam’s Gunner is a young, improving talent who could spring a surprise. Two wins in his last four and it will be interesting to see how he fairs with the step up in class.